You’ve been hurt on the job and can’t work. In addition, you need medical care, but your boss or the workers’ compensation insurance company are using a variety of tactics to delay, diminish or deny your claim. You really need an aggressive and knowledgeable lawyer to protect your rights, but that costs money, right?—money you don’t have because you’re not working. You’re wrong!! In a workers’ compensation case, you never have to pay your lawyer directly for any work done!! 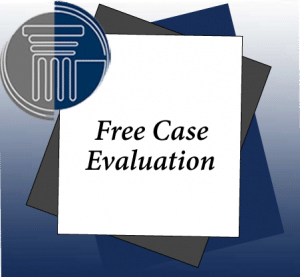 The fees payable to your attorney are determined on a case-by-case basis by the judge (or by the Workers’ Compensation Board) in the case. Typically, the amount of the fee will depend on the size of the award, as well as the extent of the services provided to you by your lawyer. It’s essentially a contingent fee, similar to how attorneys are customarily paid in personal injury claims. As a general rule, your attorney will be paid out of the proceeds of your award, so you’ll never have to write a check to pay legal fees. There are compelling reasons behind this type of arrangement. First, it provides incentive of injured workers to seek the counsel they need. In addition, paying lawyers on a contingency basis also encourages them to use all their skill, knowledge and experience to get the maximum benefit for you—the higher the award, the more money the attorney makes. What Fees Do You Have to Pay to a Workers’ Compensation Attorney?